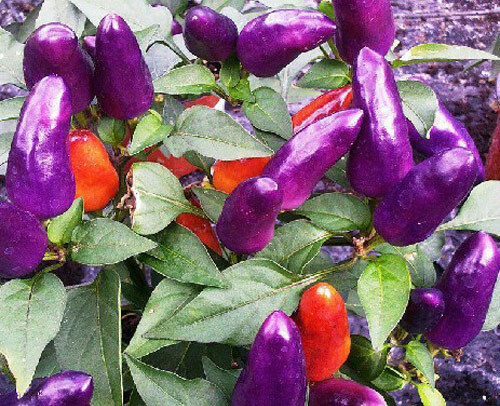 Have you ever thought about growing colorful chili peppers in a flower pot that can be placed in the kitchen, on a window, or a patio table? They are beautiful, colorful and yummy good to eat and cook with! 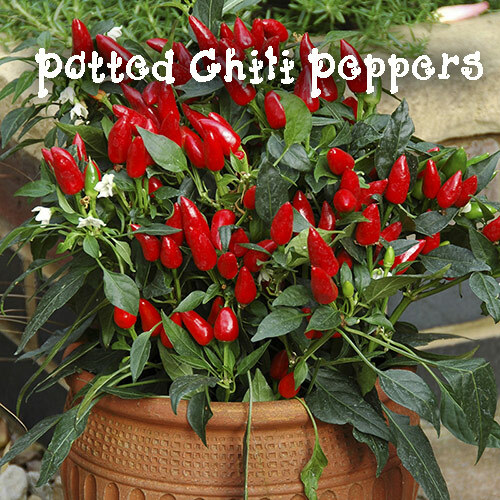 Few potted plants get the attention of both you eyes and taste buds as spicy chili peppers. Grow in summer they are easy to pot and grow along with fun to add to any of your bbq or summertime suppers. Maybe you just need a burst of bright red, yellow or green to add that little spark to your patio table or kitchen island. Select a natural clay flowerpot that is made of rustic terracotta clay. The combination creates a rustic, almost hispanic look that is beautiful and decorative. Maybe you want to really pack on the color. 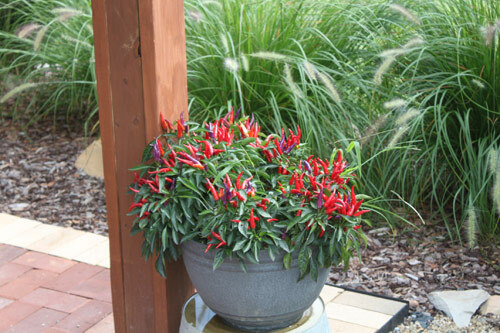 Then choose a red high shine color bowl that will only explode in more color when you pot up the red peppers. 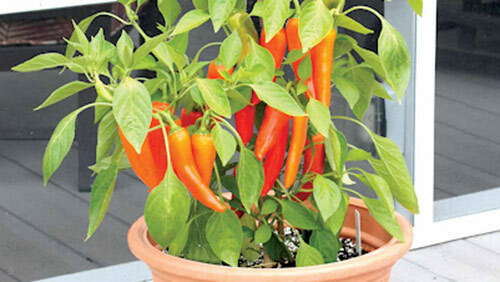 Once established, pepper plants require moderate water and fertilizer. 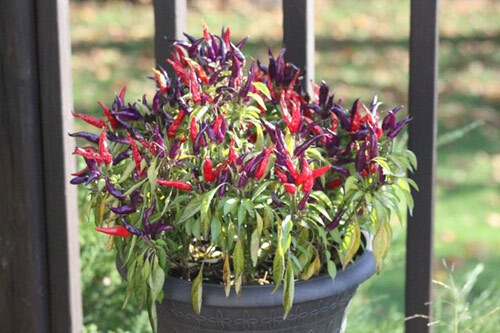 With full sun and plenty of warmth, the potted chilies will grow all summer long. These spicy little pups do not like wet, damp conditions so be careful when transplanting them from the pot to the ground later in the year. Whether you pick them green or leave them to ripen to a bright red on the vine, they can be used raw, cooked, or preserved by drying or freezing. Maybe you just want dazzling color and don't care to eat them. That is fine also. They will provide all the color you need in a very small flower pot size. [Read More] Need a reason to eat your own strawberries? [Read More] Baskets of Blooms.